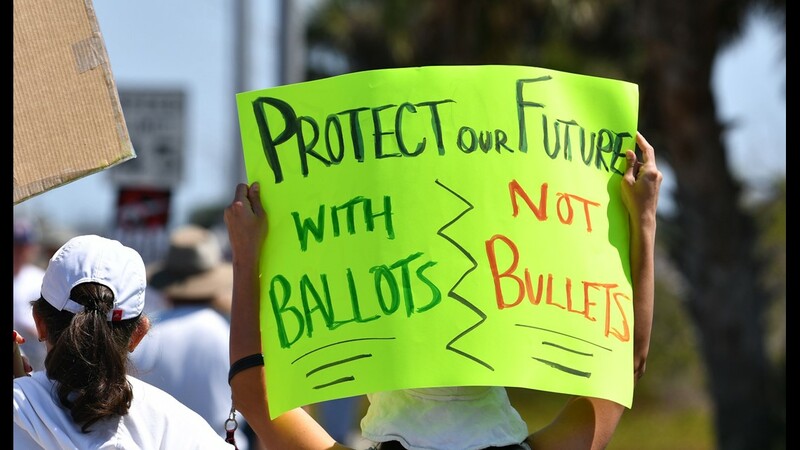 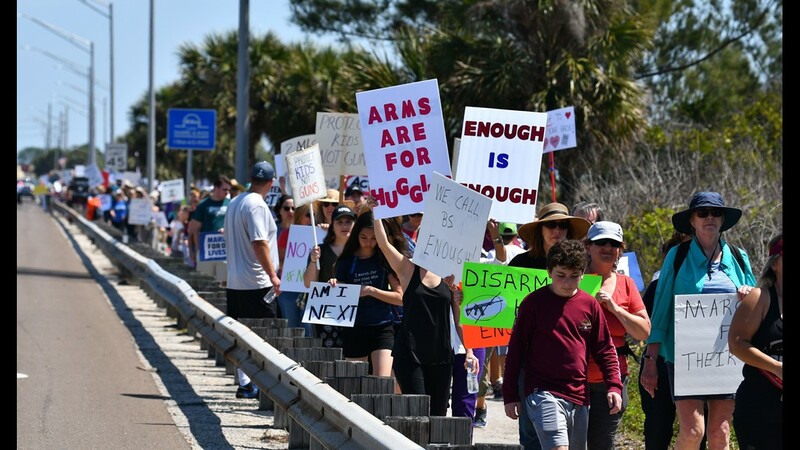 About 75 students walked out of Rockledge High School in Florida at 10:30 a.m. on Friday and onto the athletic field in support of the 2nd Amendment. 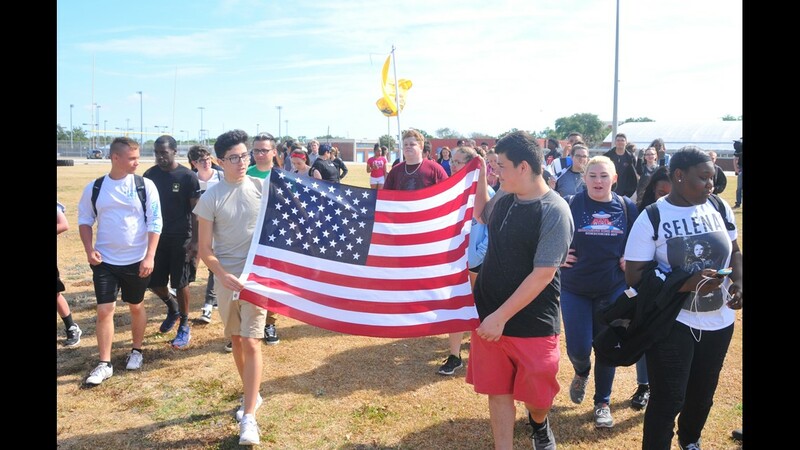 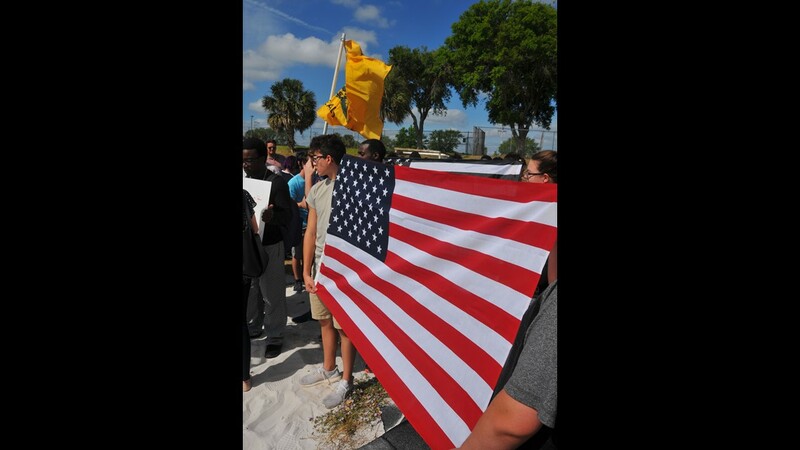 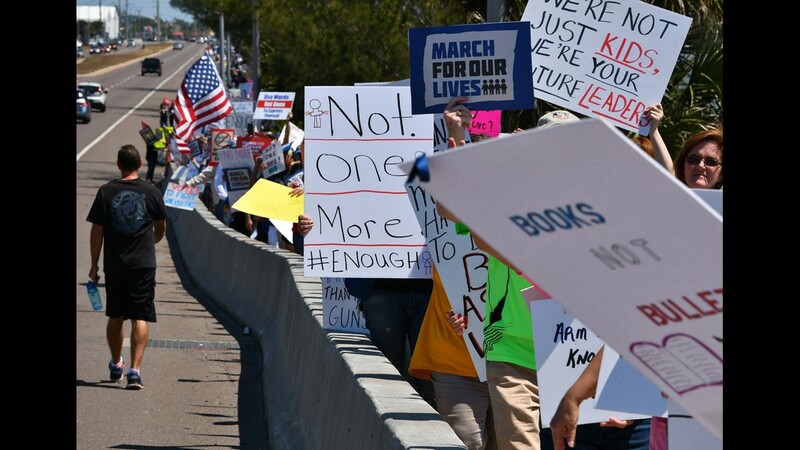 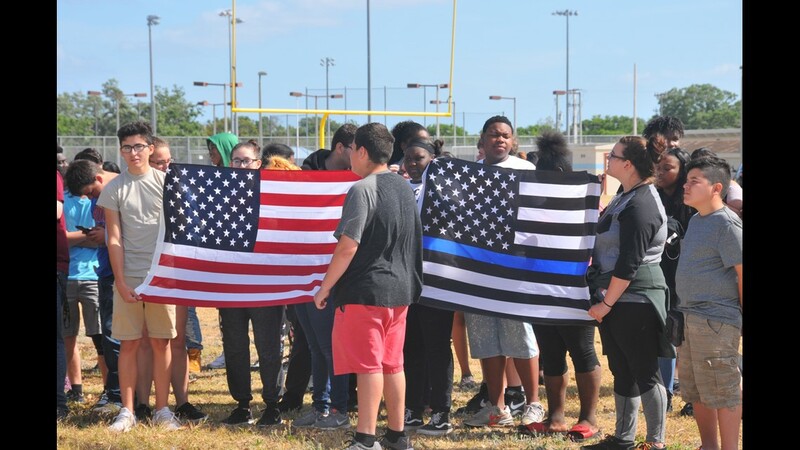 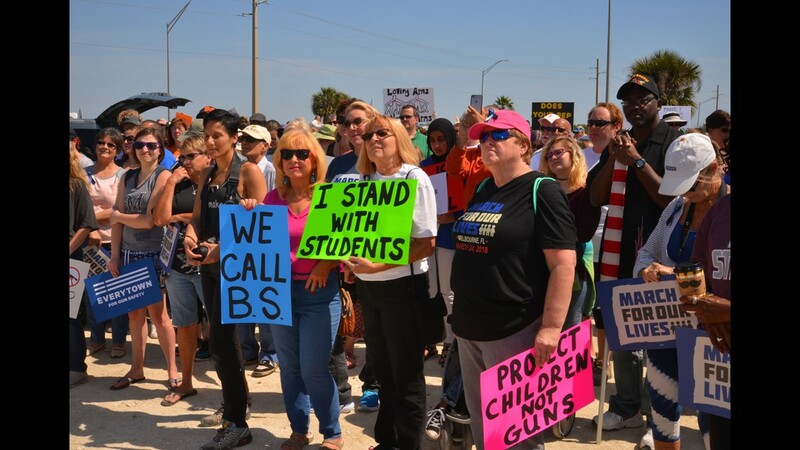 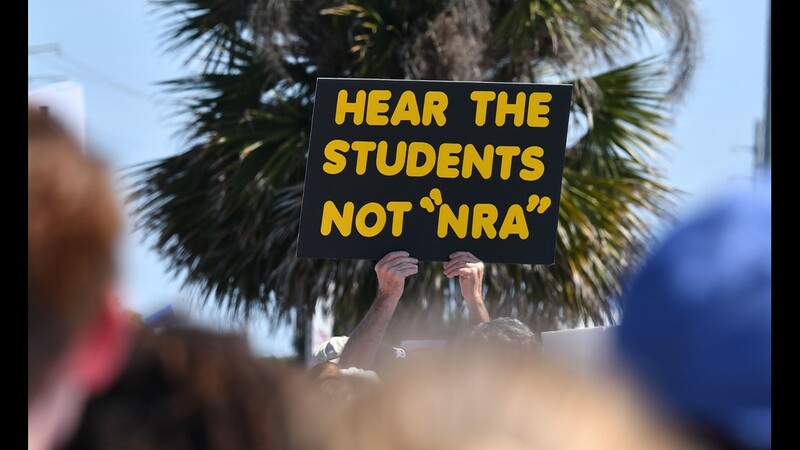 MELBOURNE, Fla. — A group of students from Rockledge High School in Brevard County, Fla., briefly walked out of class Friday to show their support for the Second Amendment. 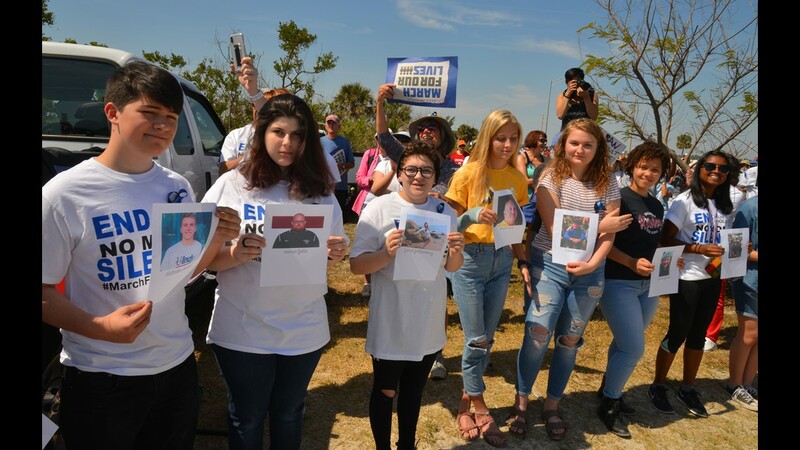 About 75 students walked out of Rockledge High School at 10:30 a.m. on Friday and onto the athletic field in support of the 2nd Amendment. 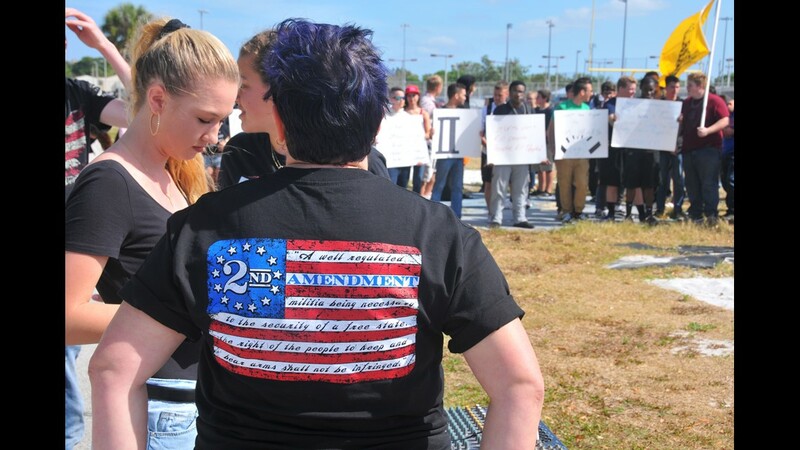 Rockleege HIgh government teaher Jaime Stephenson wore her shirt in support of the 2nd Amendment on Friday. 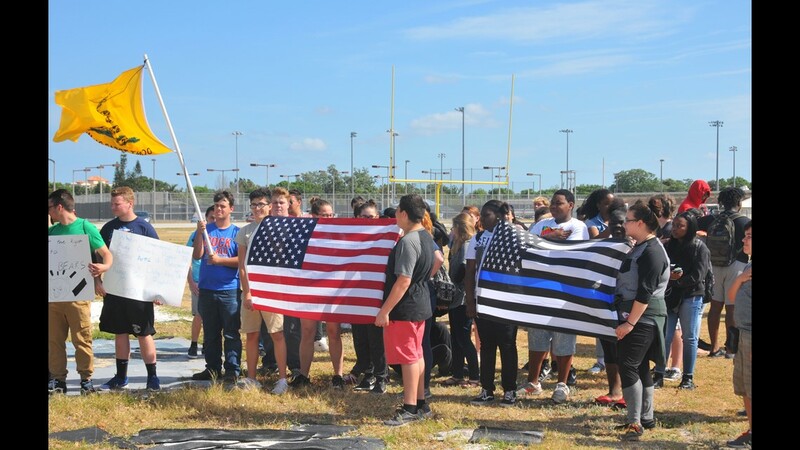 About 75 students walked out of Rockledge High School at 10:30 a.m. on Friday and onto the athletic field in support of the 2nd Amendment. 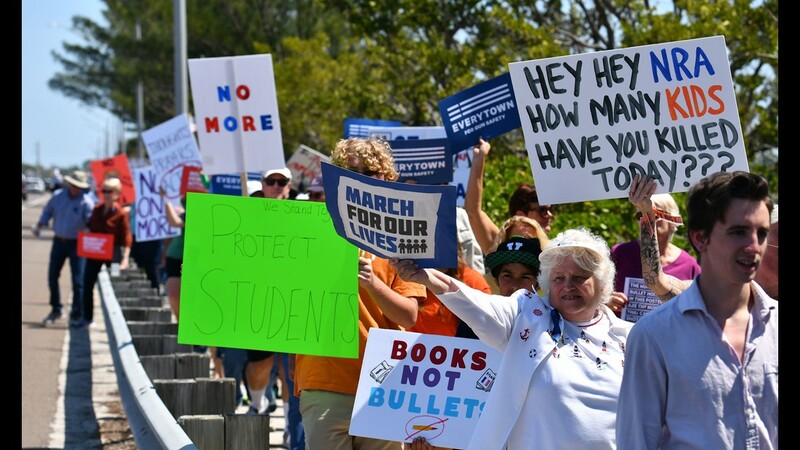 Organizers Chloe Deaton and Anna Delaney go over notes befoer speaking. 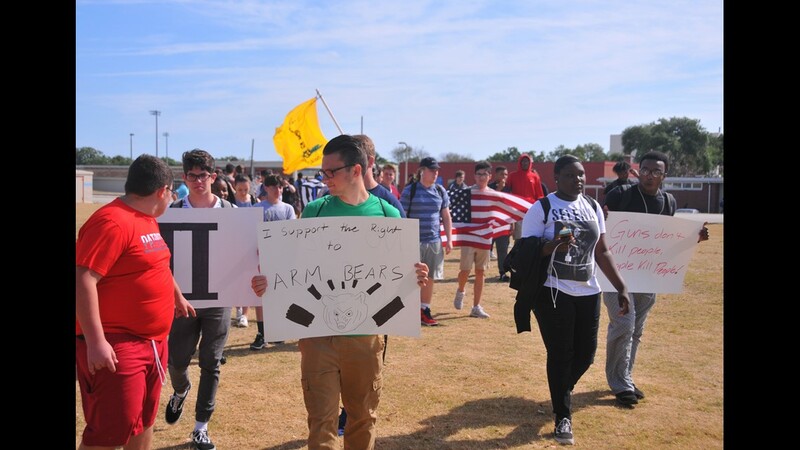 About 75 students walked out of Rockledge High School at 10:30 a.m. on Friday and onto the athletic field in support of the 2nd Amendment. 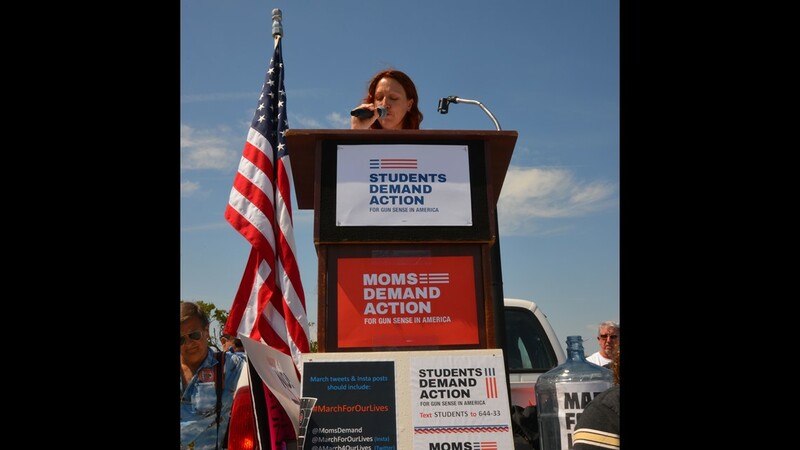 Organizers Anna Delaney and Chloe Deaton spoke to the students. 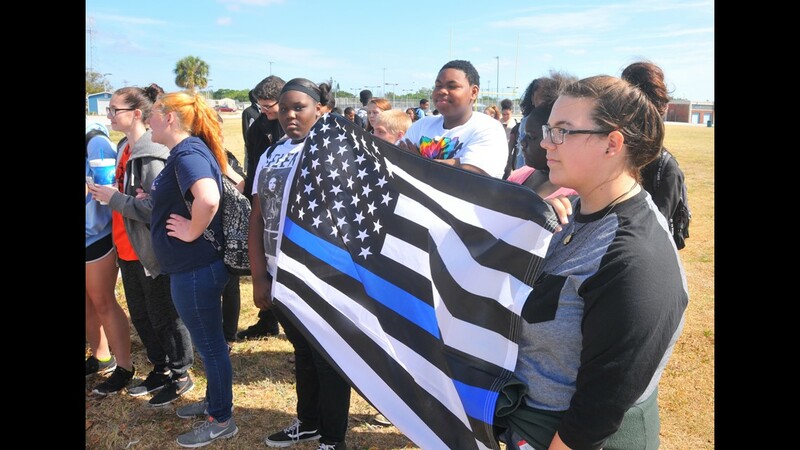 About 75 students walked out of Rockledge High School at 10:30 a.m. on Friday and onto the athletic field in support of the 2nd Amendment. 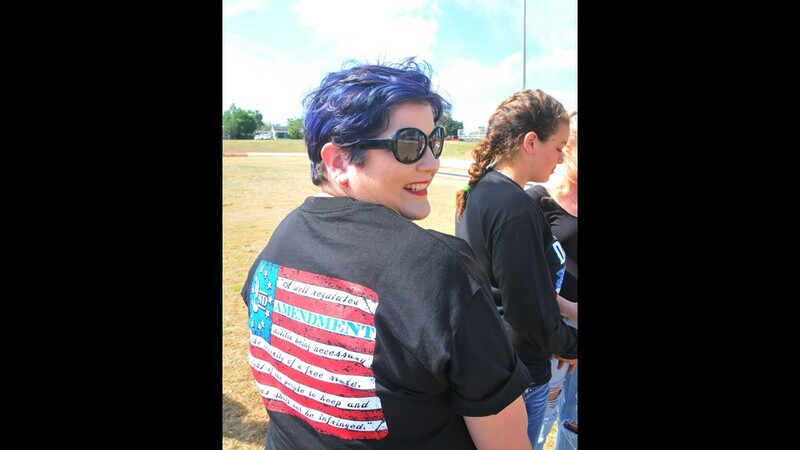 Rocklege HIgh government teacher Jaime Stephenson wore her 2nd Amendment shirt on Friday. 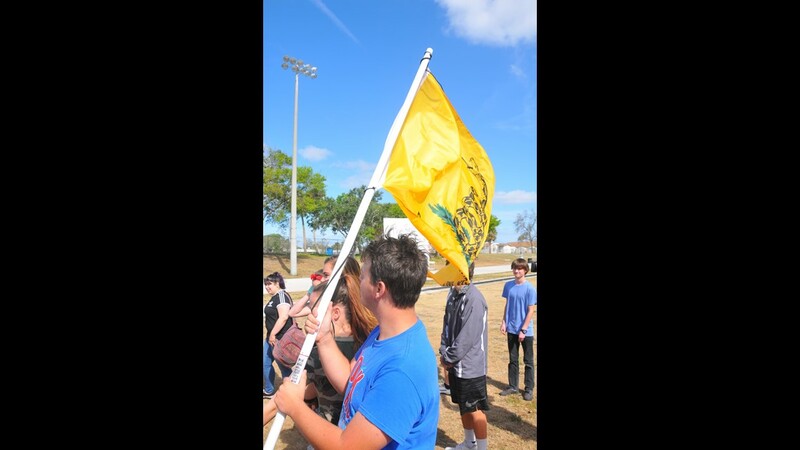 About 75 students walked out of Rockledge High School at 10:30 a.m. on Friday and onto the athletic field in support of the 2nd Amendment. 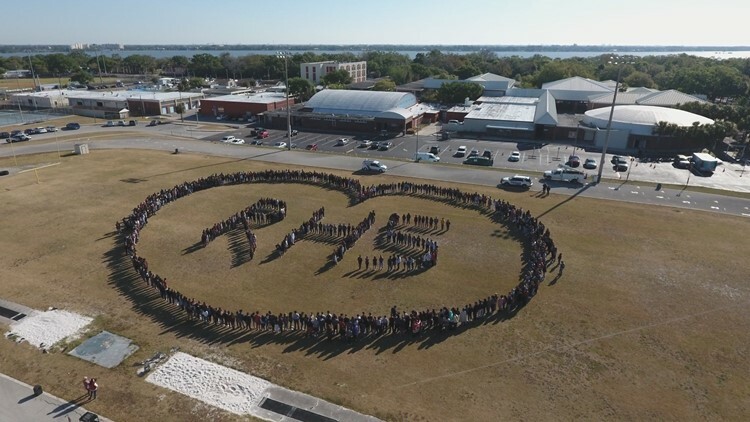 Students formed a heart on the football field during Rockledge High School's March 14 walkout demonstration. 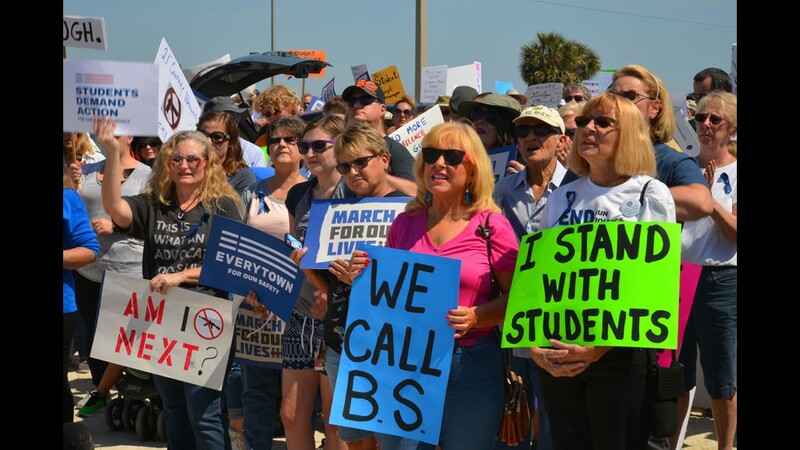 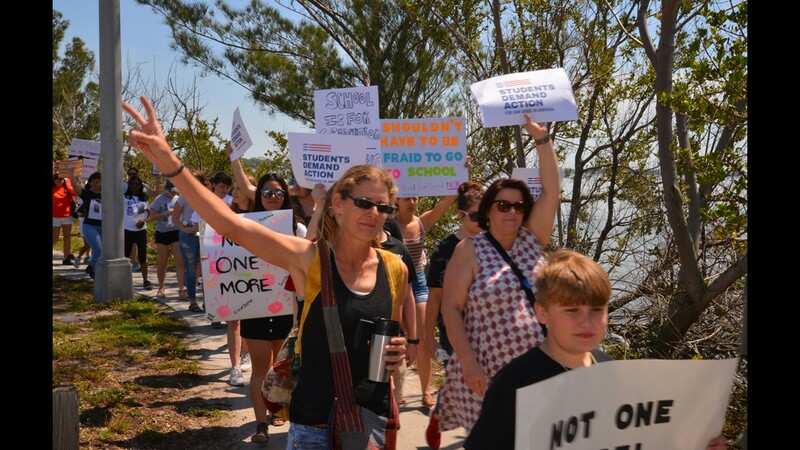 Students from schools across Brevard County walked out of class Wednesday in solidarity with Parkland survivors and students across the nation calling for gun reform. 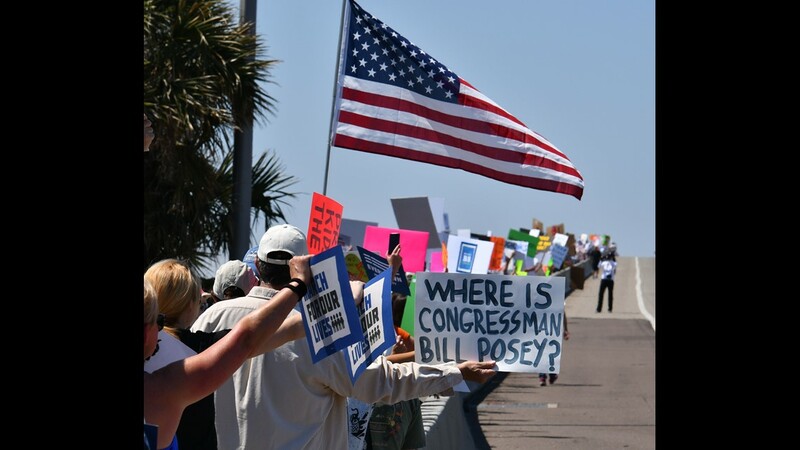 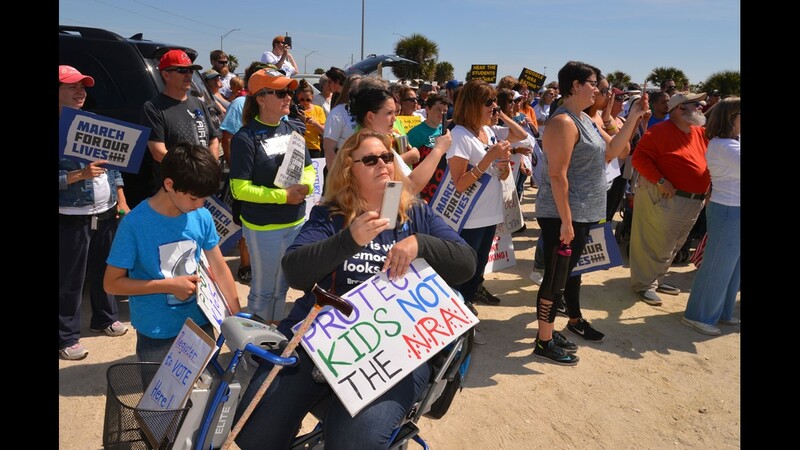 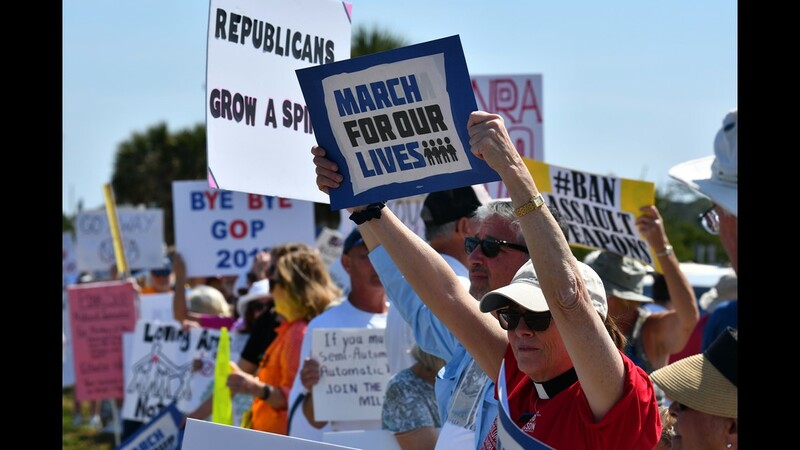 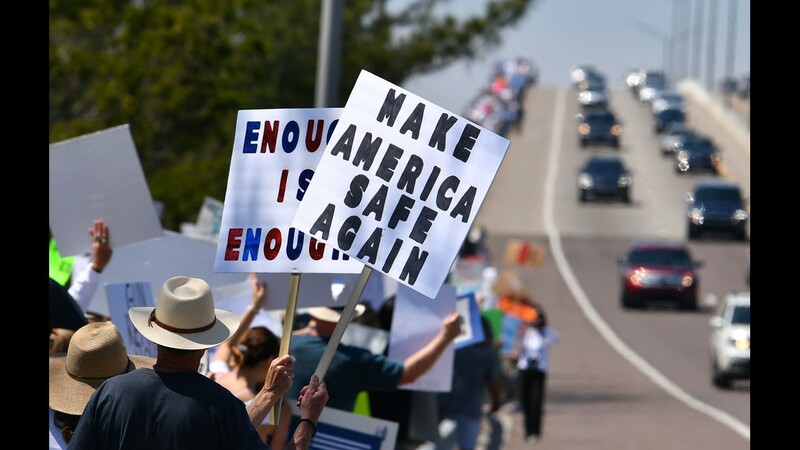 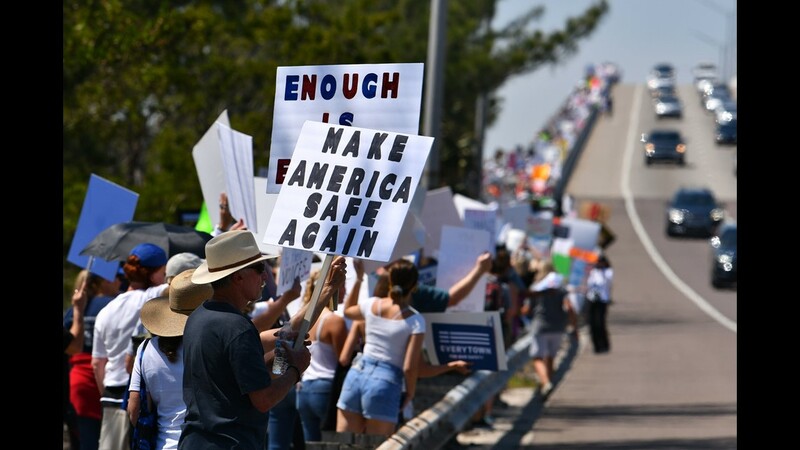 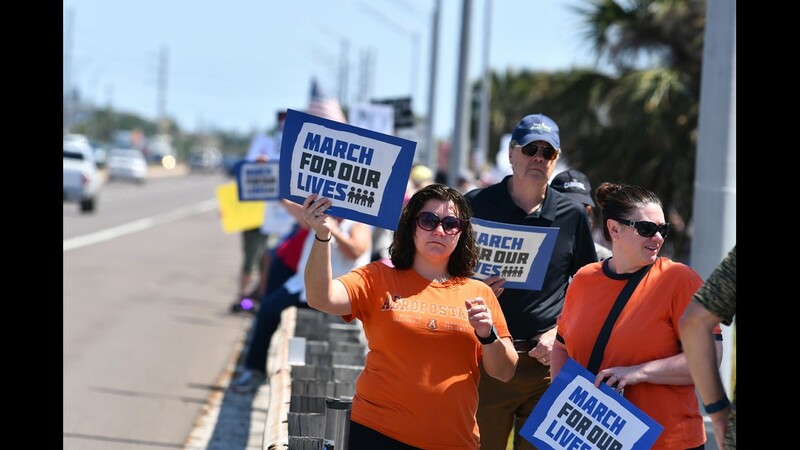 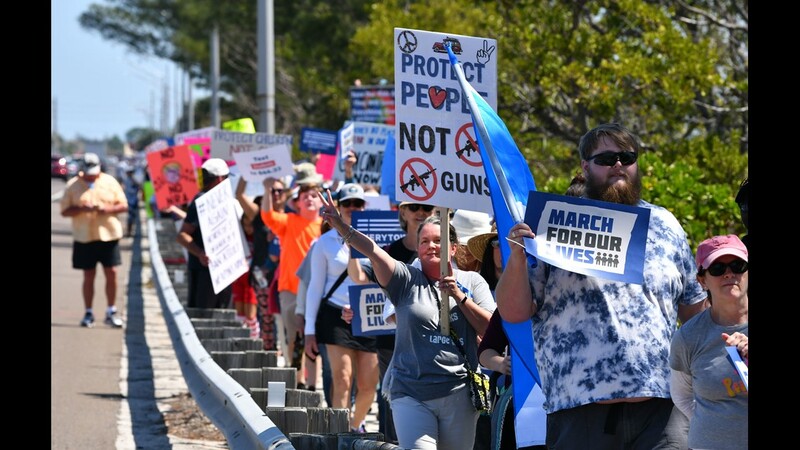 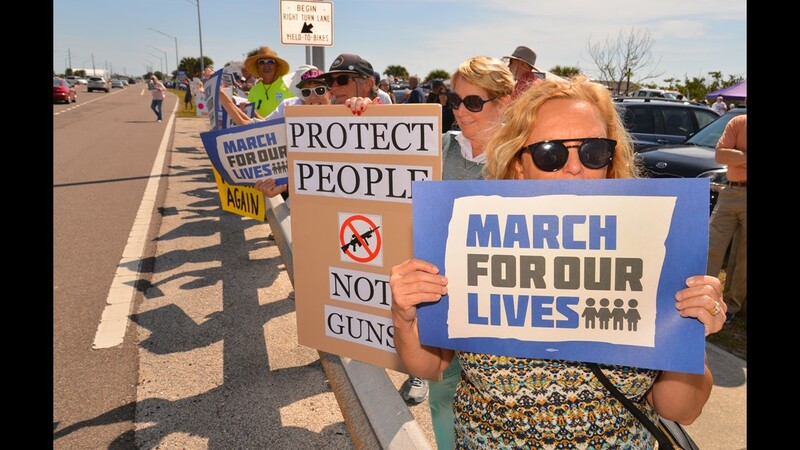 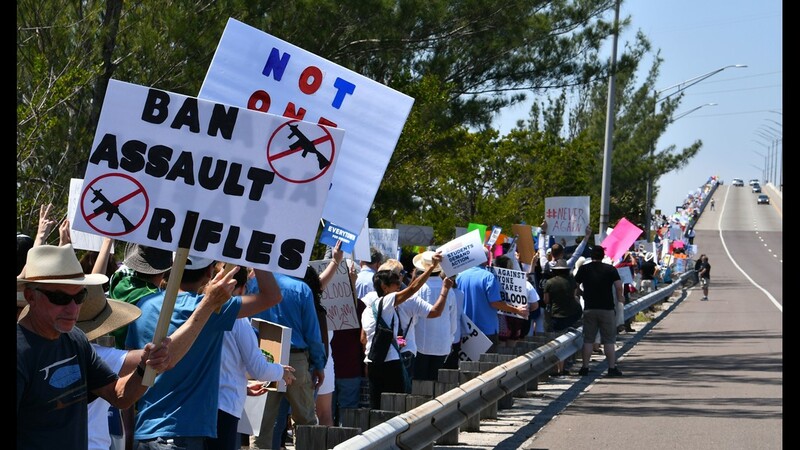 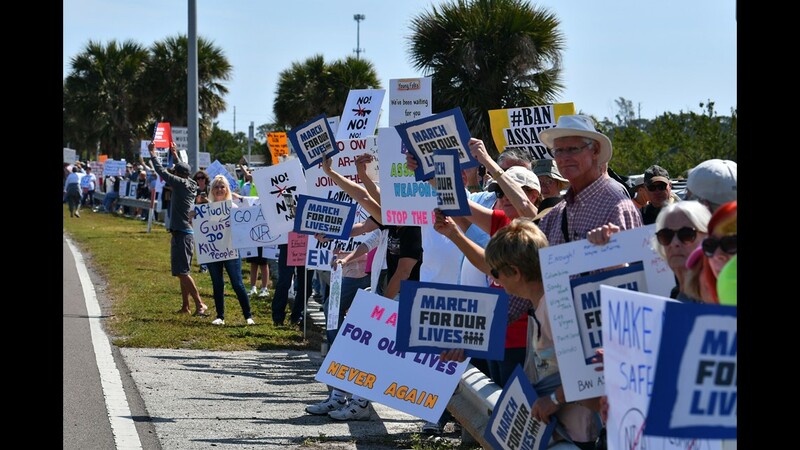 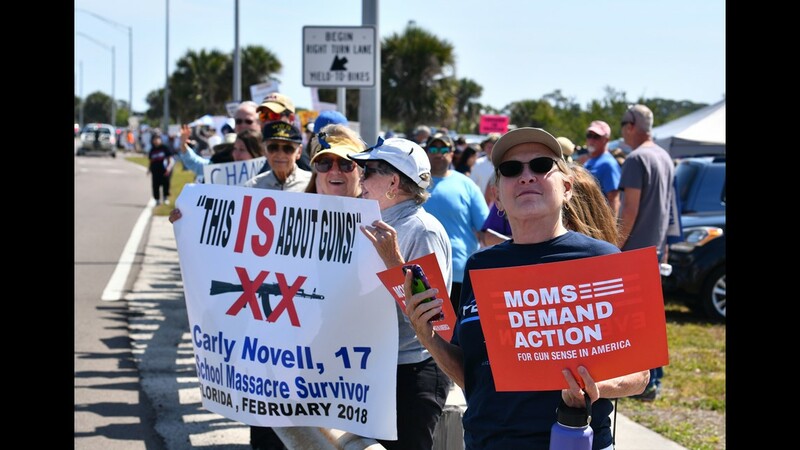 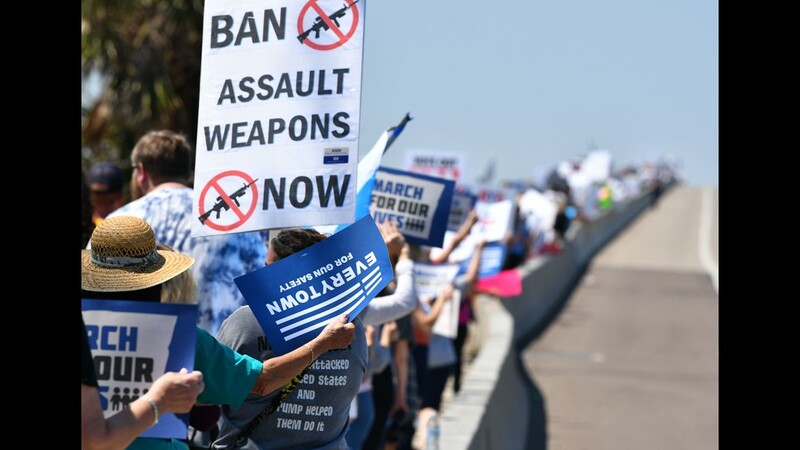 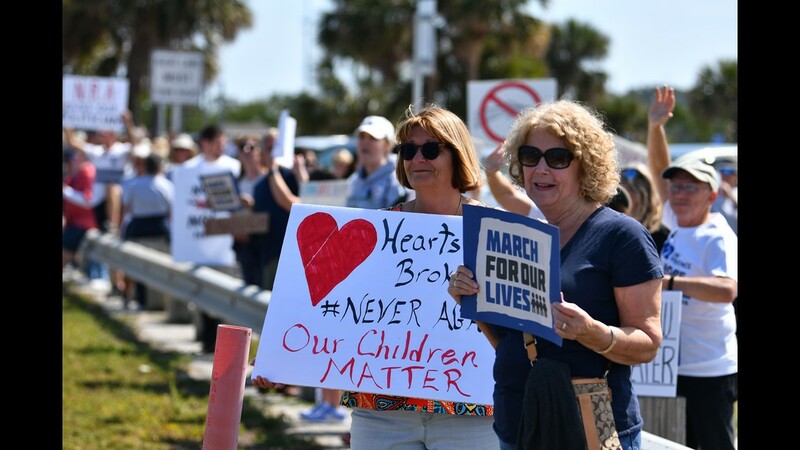 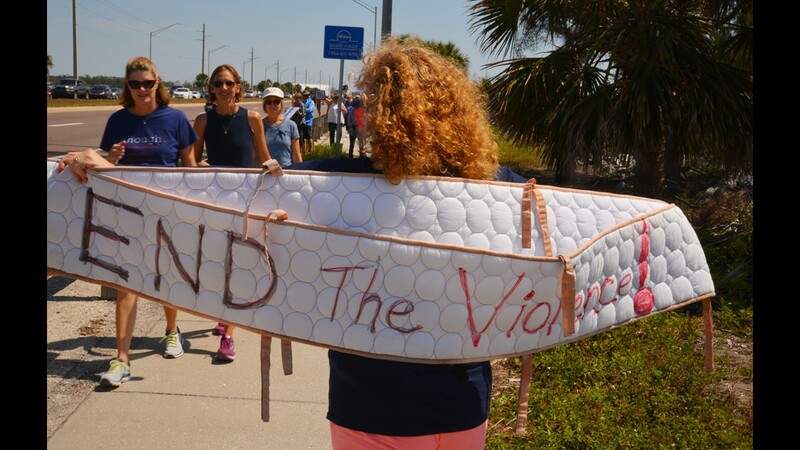 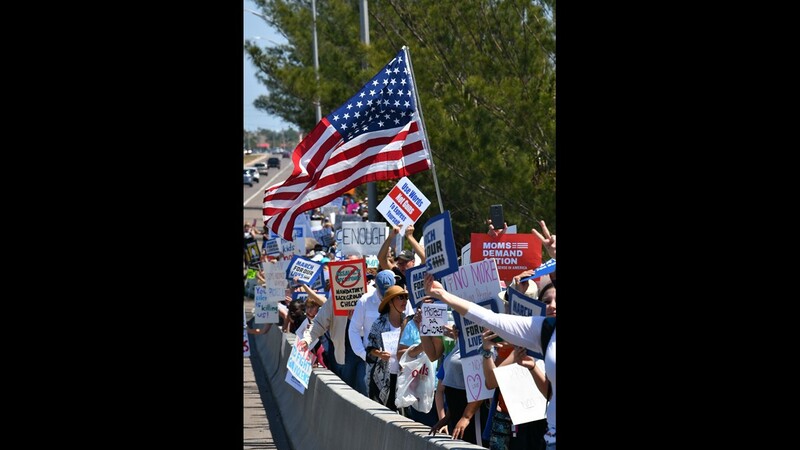 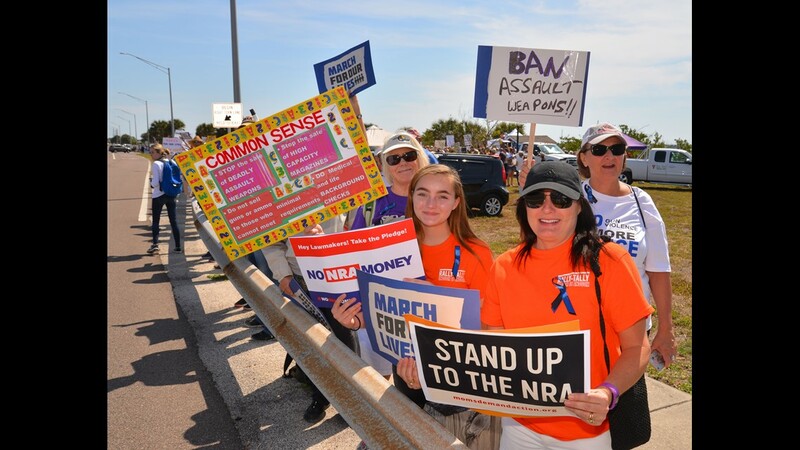 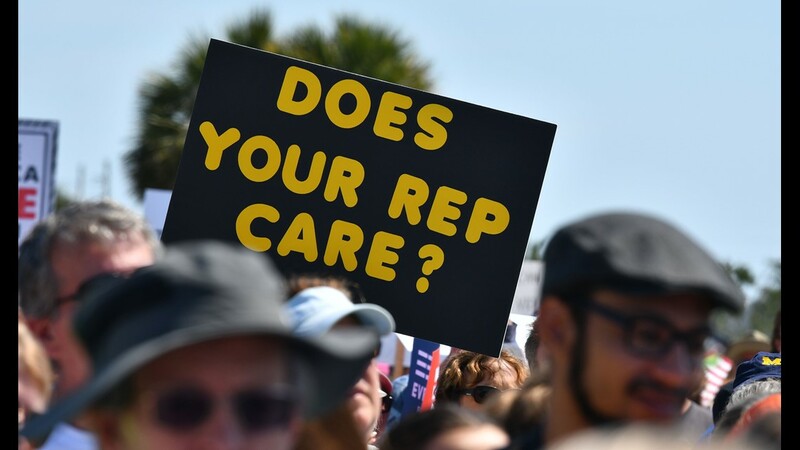 They were expecting at least 700 people for the March for our Lives in Melbourne on Saturday and thousands showed up to listen to speakers and peacefully line the Eau Gallie Causeway. 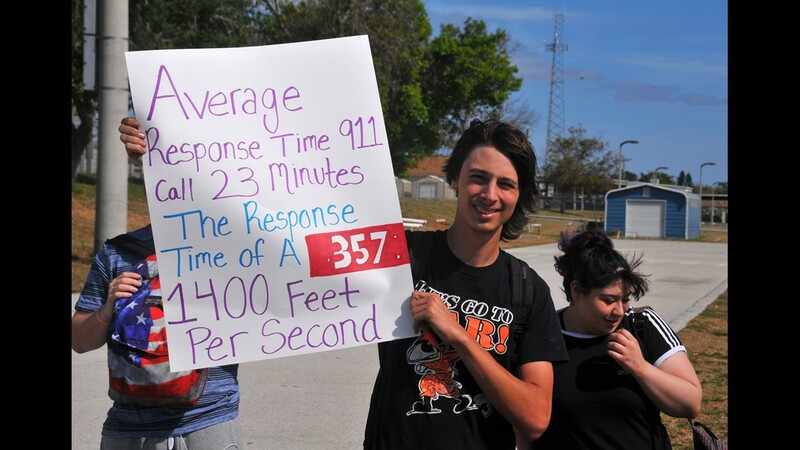 Melbourne High School junior Karly Hudson organized the event for Melbourne. 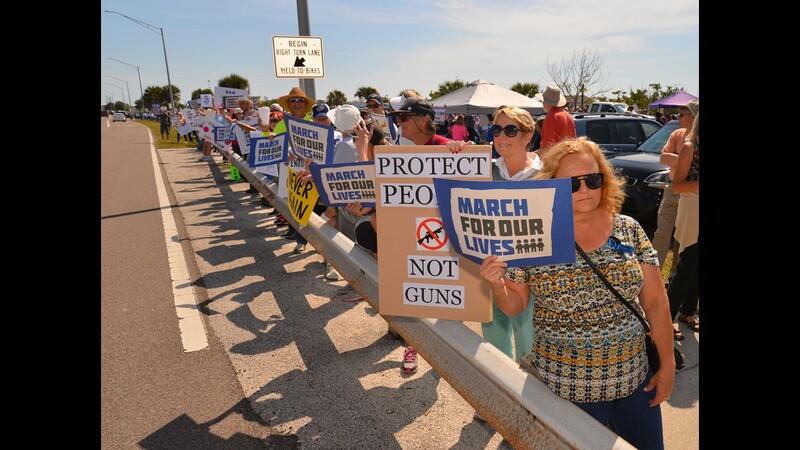 They were expecting at least 700 people for the March for our Lives in Melbourne on Saturday and thousands showed up to listen to speakers and peacefully line the Eau Gallie Causeway. 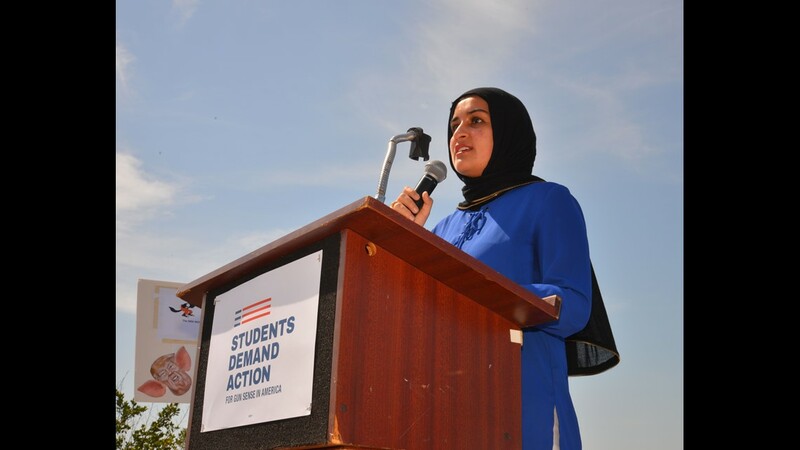 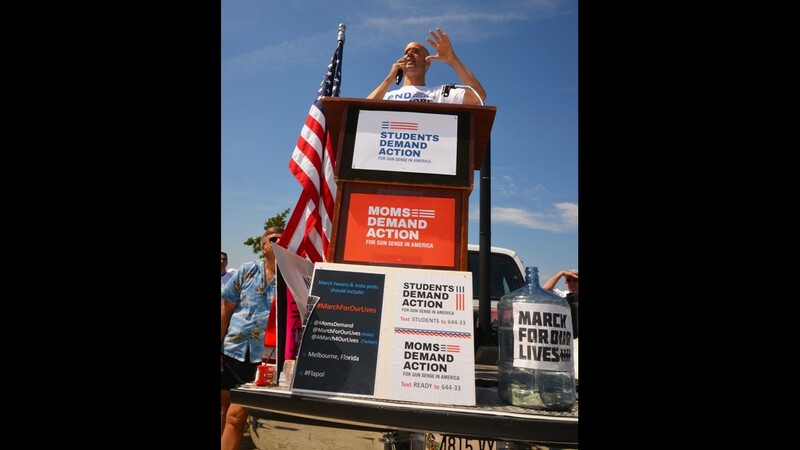 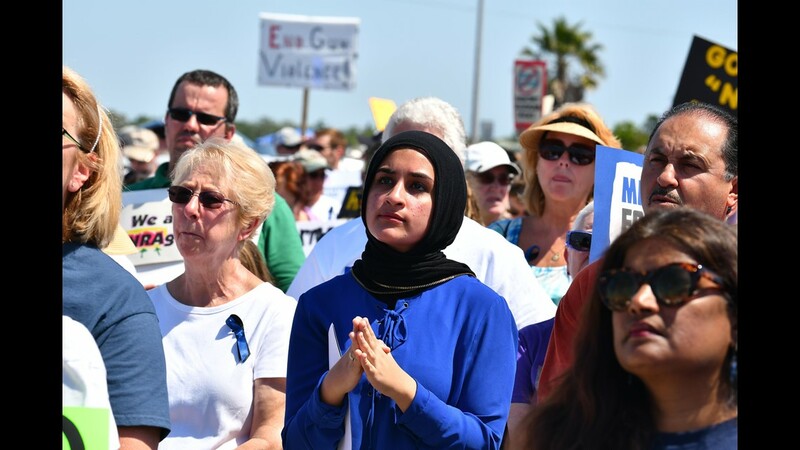 A very eloquent speaker was Carmel Alshaibi from Melburne High.They were expecting at least 700 people for the March for our Lives in Melbourne on Saturday and thousands showed up to listen to speakers and peacefully line the Eau Gallie Causeway. 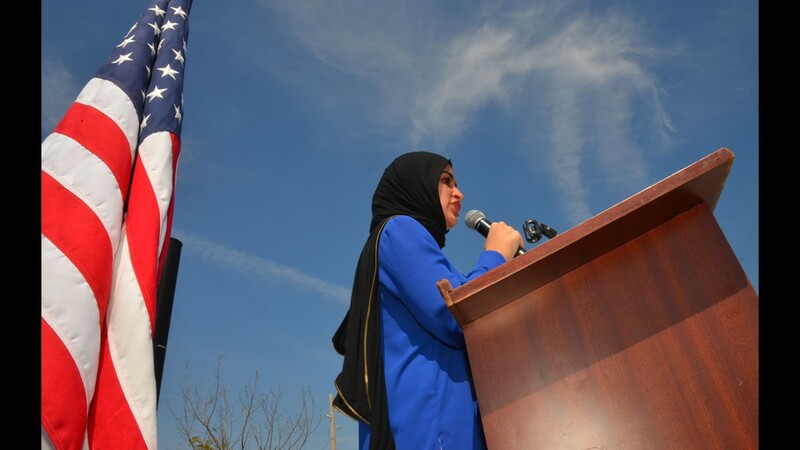 A very eloquent speaker was Carmel Alshaibi from Melburne High. 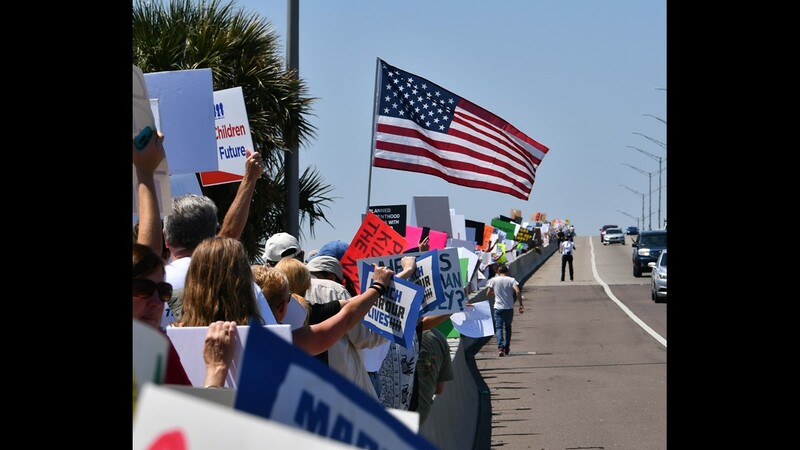 They were expecting at least 700 people for the March for our Lives in Melbourne on Saturday and thousands showed up to listen to speakers and peacefully line the Eau Gallie Causeway. 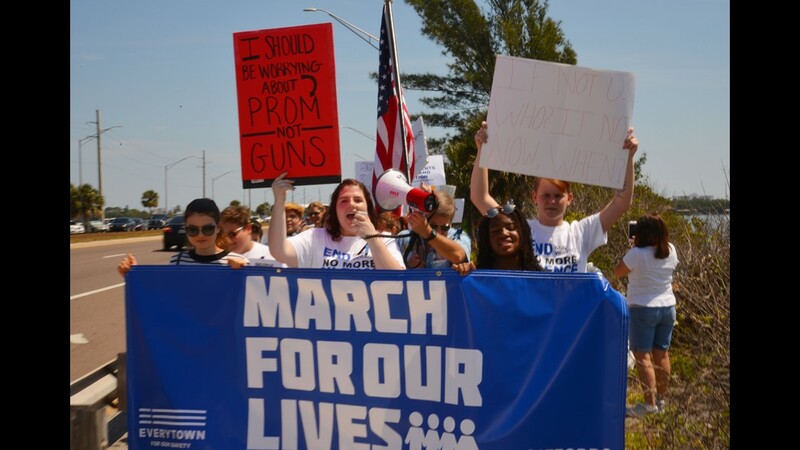 Jamie Tworkowski, founder of To Write Love on her Arms, was one of the speakers, sitting behind him is the organizer of the event Melbourne High student Karly Hudson. 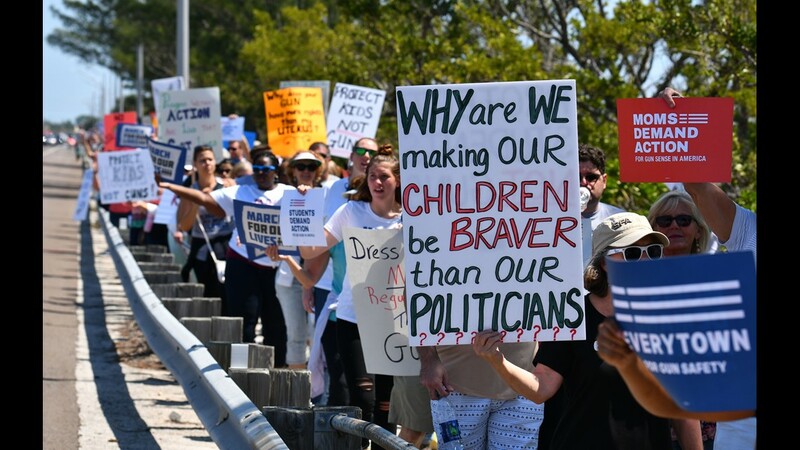 They were expecting at least 700 people for the March for our Lives in Melbourne on Saturday and thousands showed up to listen to speakers and peacefully line the Eau Gallie Causeway. 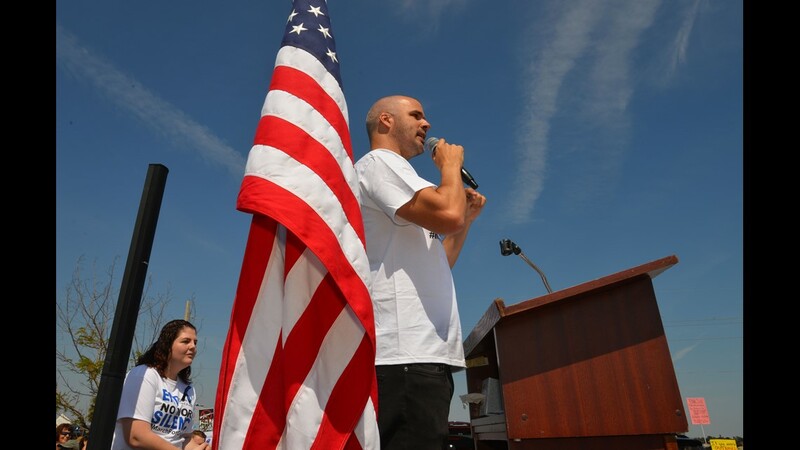 Jamie Tworkowski, founder of To Write Love on her Arms, was one of the speakers. 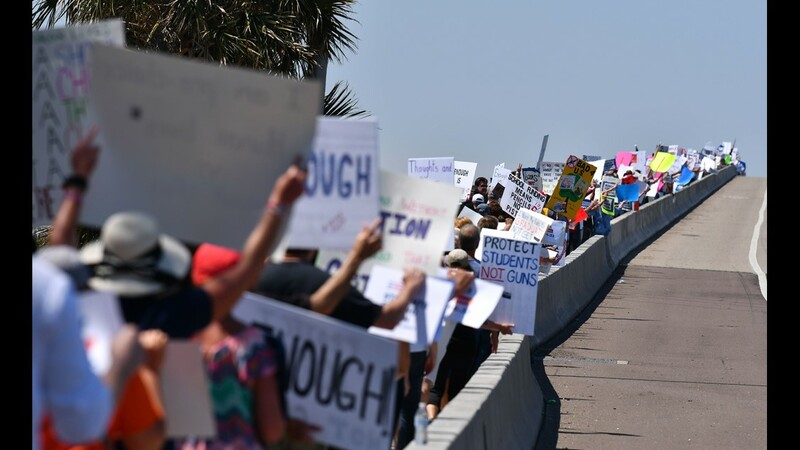 They were expecting at least 700 people for the March for our Lives in Melbourne on Saturday and thousands showed up to listen to speakers and peacefully line the Eau Gallie Causeway. 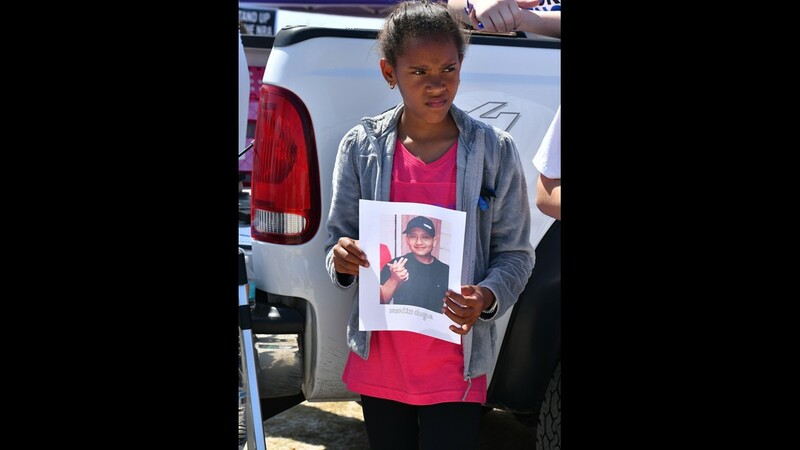 Jazzie Hennings, one of the speakers, talks about her young friend killed by a bullet. 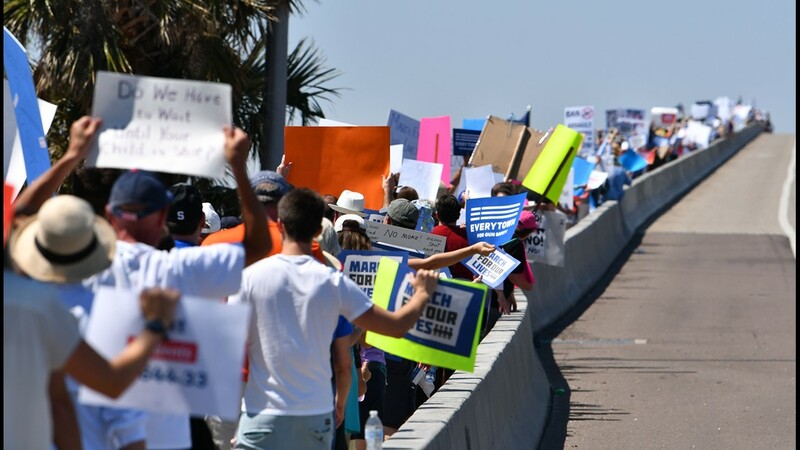 They were expecting at least 700 people for the March for our Lives in Melbourne on Saturday and thousands showed up to listen to speakers and peacefully line the Eau Gallie Causeway. 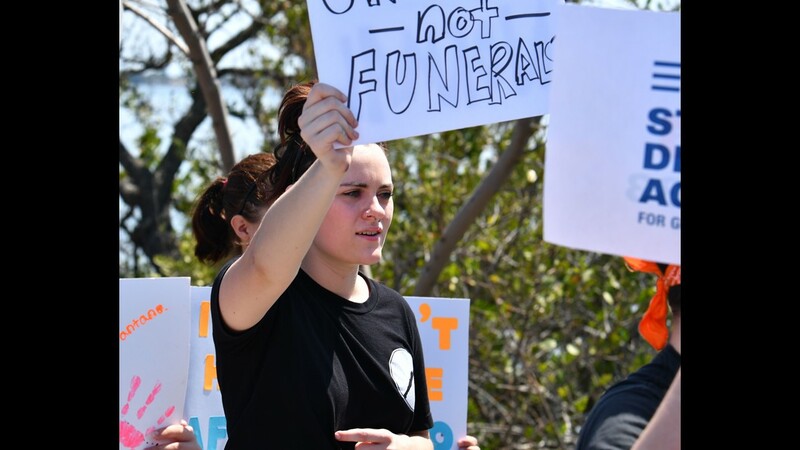 Jazzie Hennings, one of the speakers, talks about her young friend killed by a bullet.They were expecting at least 700 people for the March for our Lives in Melbourne on Saturday and thousands showed up to listen to speakers and peacefully line the Eau Gallie Causeway. 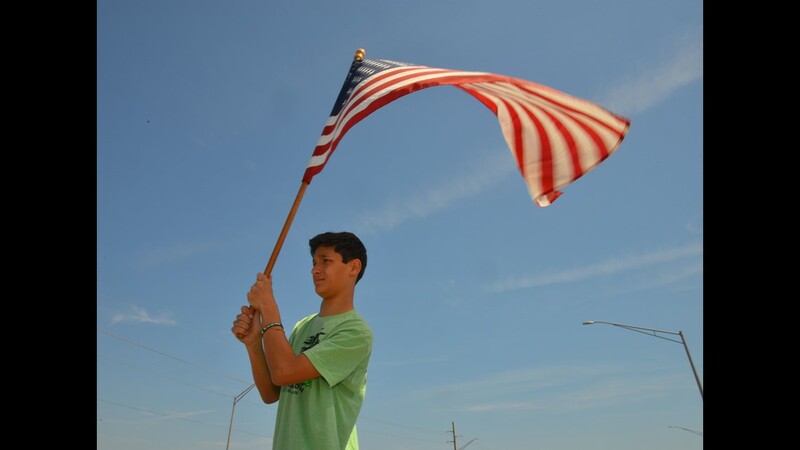 Alex Montaluo waves ann American flag to cars passing on the causeway. 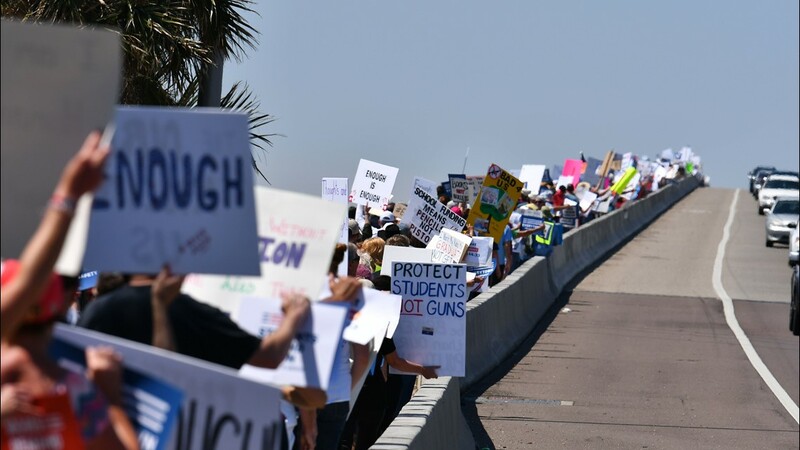 They were expecting at least 700 people for the March for our Lives in Melbourne on Saturday and thousands showed up to listen to speakers and peacefully line the Eau Gallie Causeway. 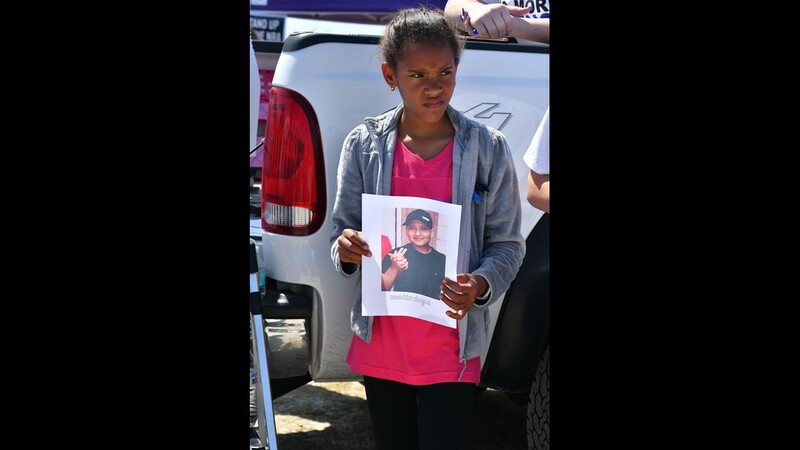 Aaliyah Devins holds a photo of a student killed at Parkland. 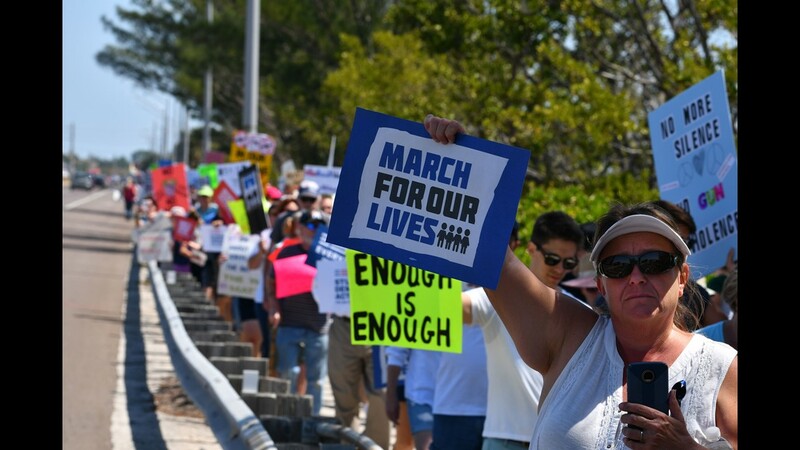 They were expecting at least 700 people for the March for our Lives in Melbourne on Saturday and thousands showed up to listen to speakers and peacefully line the Eau Gallie Causeway. 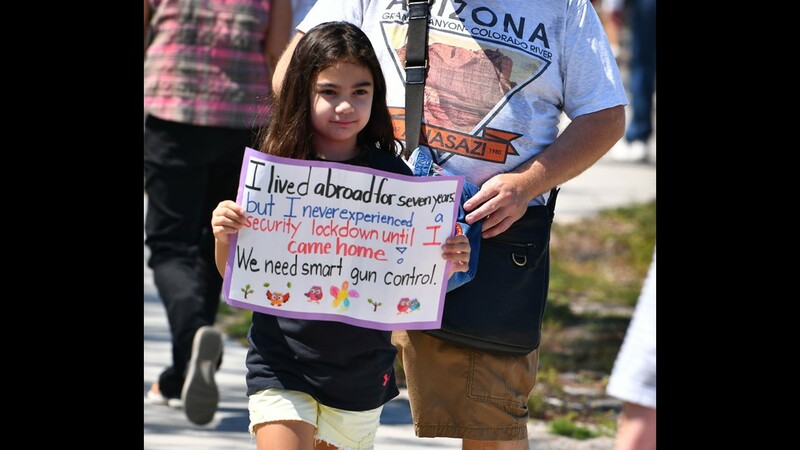 Marisol Cornejo,8, holds her sign high. 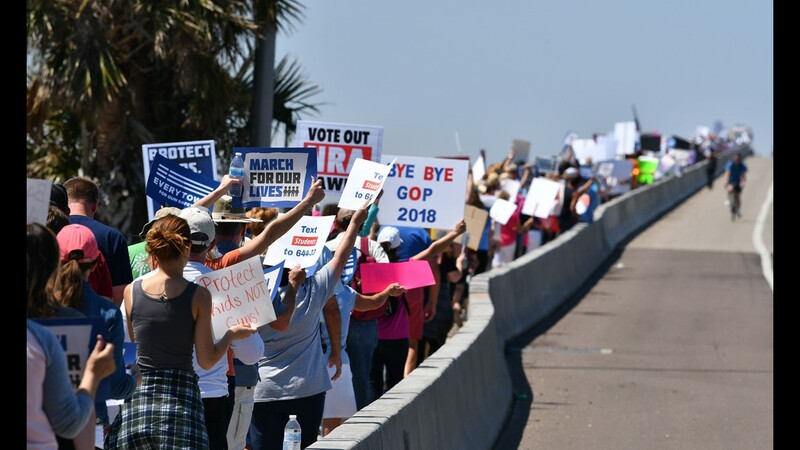 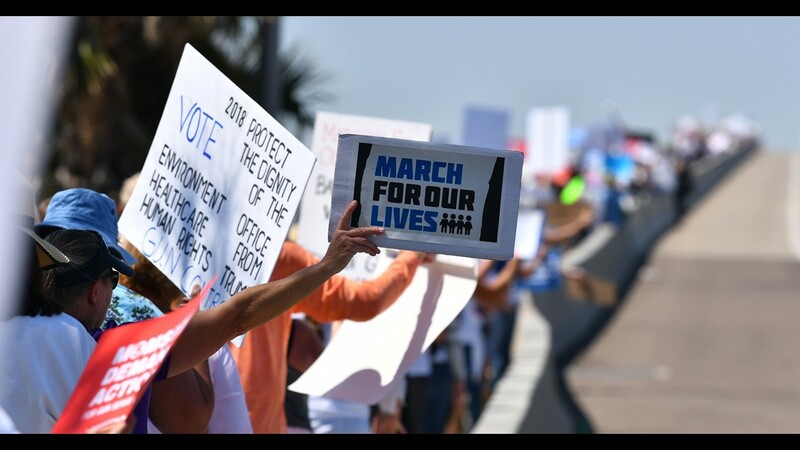 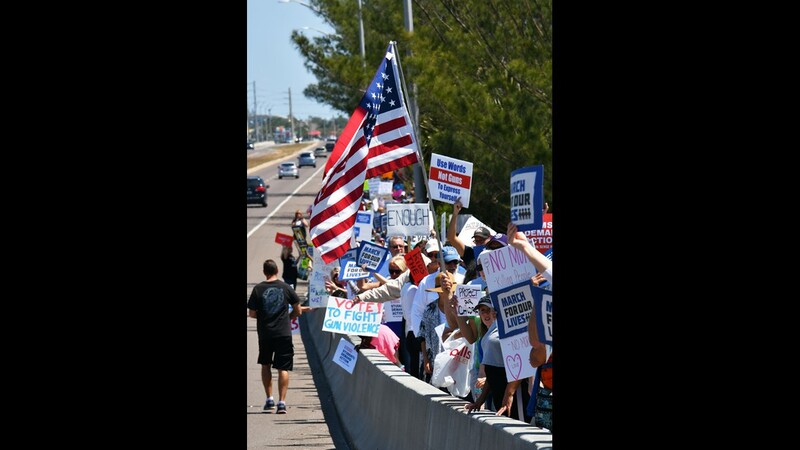 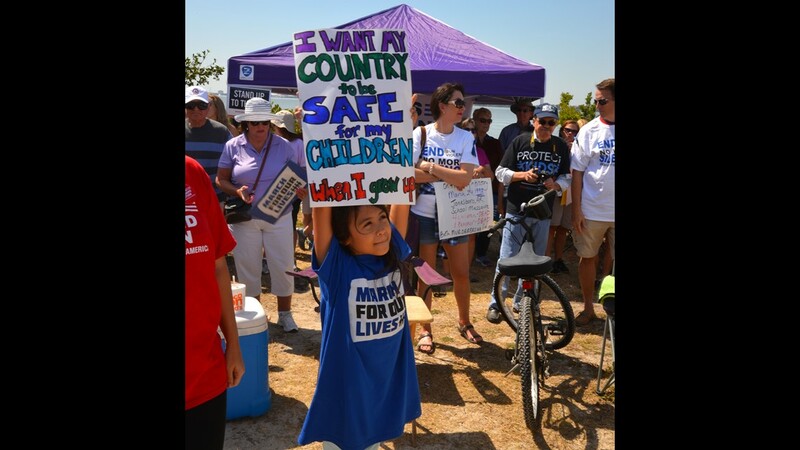 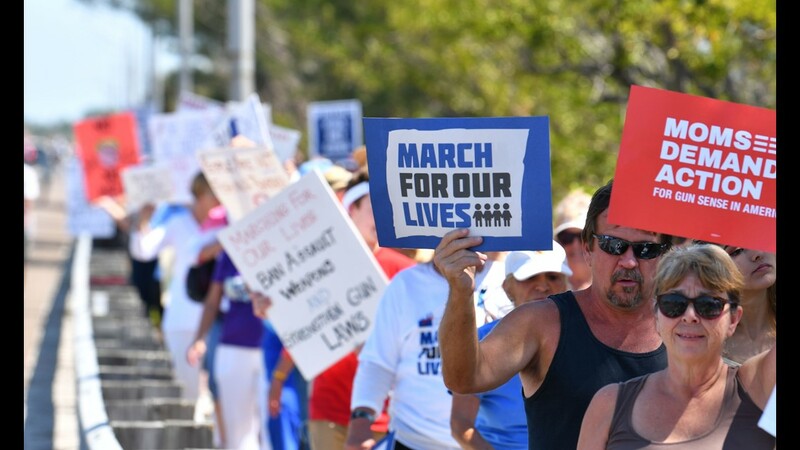 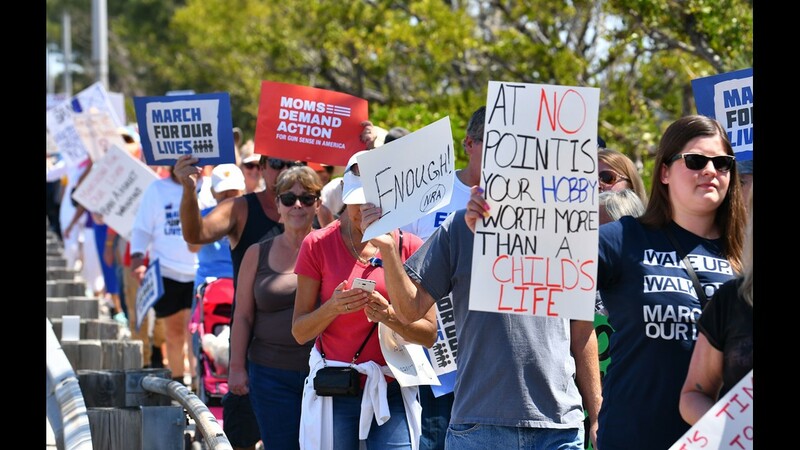 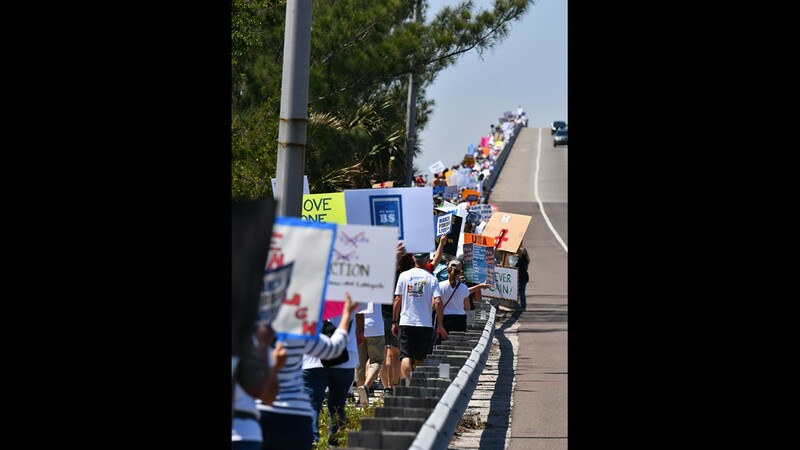 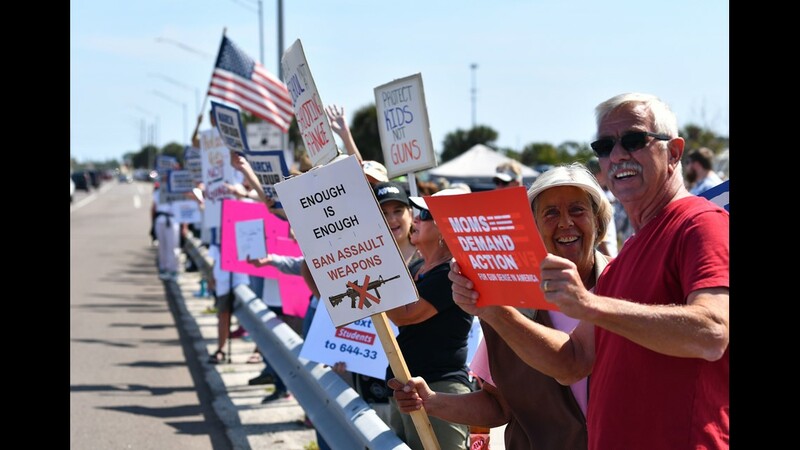 They were expecting at least 700 people for the March for our Lives in Melbourne on Saturday and thousands showed up to listen to speakers and peacefully line the Eau Gallie Causeway.